Simple doesn’t mean boring. 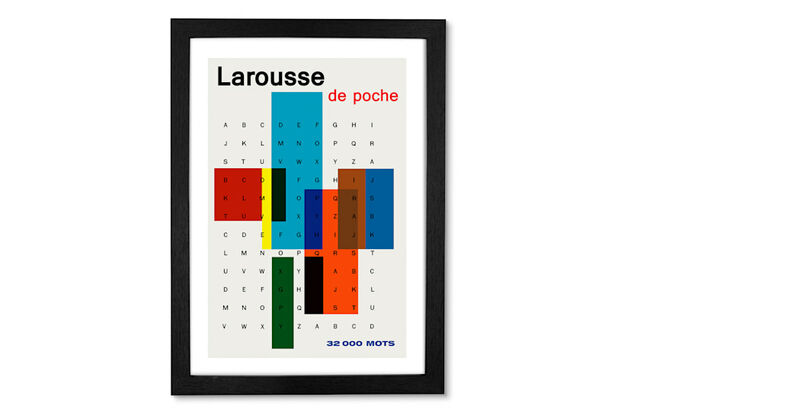 And this Larousse de Pouche print knows it. Slip this print into minimal rooms to complement the pared-back decor - with a colourful uplift. If you love mid-century design, this vintage-style piece is perfect for your space. Featuring a simple typographic print and colour-blocked accents, this’ll make a minimal statement.